A simple acf add-on that allows you to treat a field group as a single field and reuse it in any other field groups. 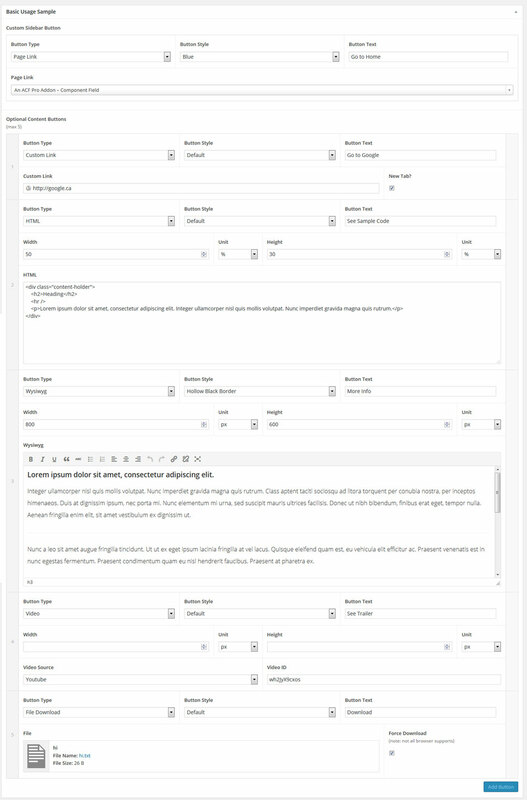 This is how the backend looks like, with multiple reusable button component fields. This is how the component field data returns. Login and playaround the output. Login and see how the backend looks like!